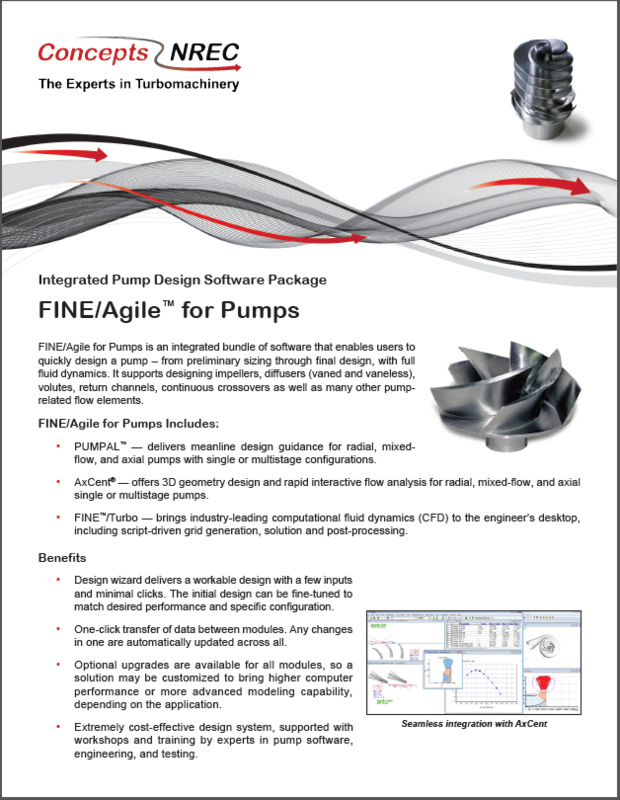 FINE/Agile™ is the product of a strong partnership between NUMECA International and Concepts NREC, bringing together the best-in-class preliminary turbomachinery design tools and the fastest and most accurate CFD suite as recognized by the worldwide turbomachinery community. FINE/Agile™ combines the NUMECA Flow Integrated Numerical Environment with Concepts NREC’s Agile Engineering Design System®. The Agile Engineering Design System is the only commercially available turbomachinery design system that encompasses and integrates the complete engineering process through a complementary suite of tools and programs for Computer-Aided Engineering (CAE). Integrated elements of the system include preliminary design and detailed design. FINE™/Turbo is the fastest CFD suite for rotating machinery with incompressible and compressible fluids, from subsonic to hypersonic flow regimes. 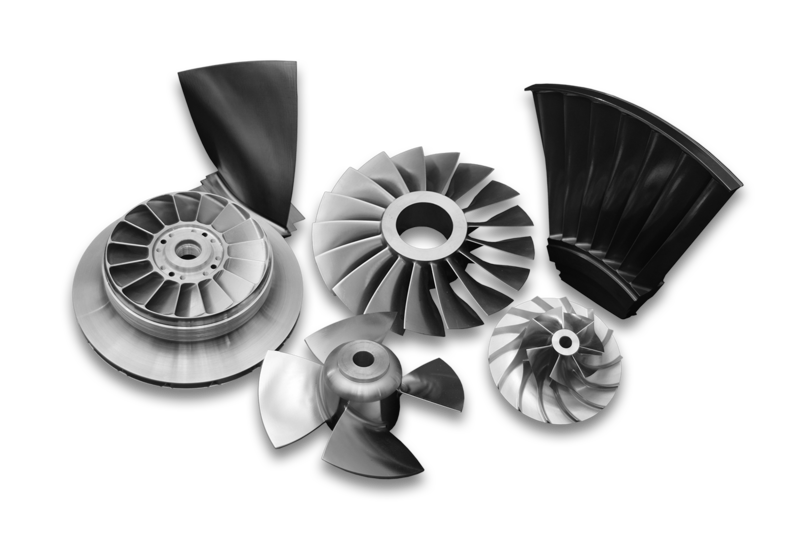 All types of multi-stage axial, radial or mixed-flow configurations are supported: compressors, turbines, pumps, fans, propellers or contra-rotating propellers. From meshing to results visualization, the FINE™/Turbo application-oriented graphical user interface is intuitive, enabling fast project set-up and analysis. FINE/Agile™ is available in five specialized configurations for your specific application: radial and mixed-flow compressors; radial, mixed-flow, axial pumps; radial and mixed-flow turbines; radial and mixed-flow fans; axial compressors and turbines. All of these configurations can be easily expanded to allow for multiple applications. Post-processing module, pbPost™, enables users to launch NUMECA International's FINE™/Turbo from within the AxCent® environment. It can also import the CFD results generated by FINE/Turbo back into the AxCent viewing environment. Detailed 3D design for geometry and blading using AxCent®, including through flow, 2D blade-to-blade and streamline curvature calculation.